Psych Geeks: Are We Too Human For Artificial Intelligence? Actor Ed Harris portrays The Man in Black, an AI character from the HBO series, "Westworld." The day when we regularly interact with AI is fast approaching. Are we ready for it? Artificial intelligence scares the heck out of some people. Others are excited about the rise of the new technology. Either way, AI will be a greater part of our lives in the future as the line between science fiction and science fact dissolves. Are we ready for a new kind of relationship with technology? A new book that explores the popular HBO series “Westworld” might give us an idea. Eric Wesselmann, left, and Scott Jordan examine when and why we see human in the face of AI. 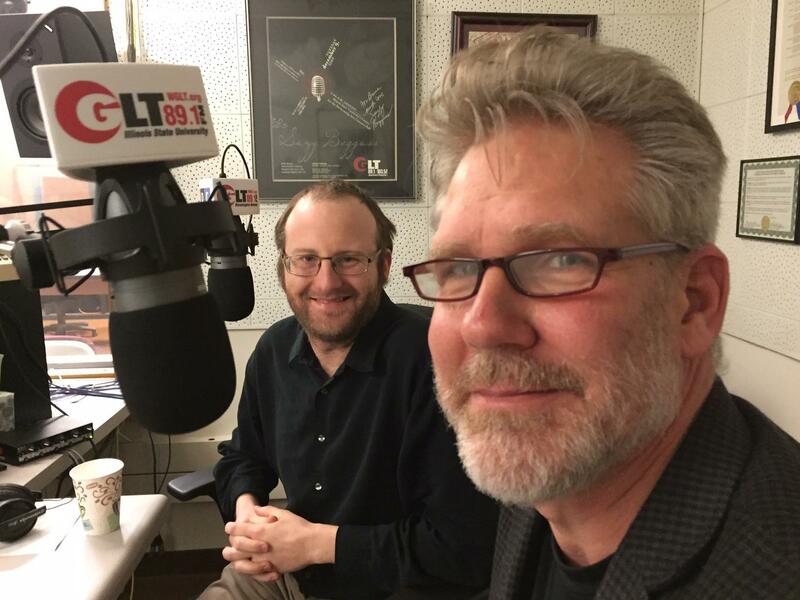 Scott Jordan and Eric Wesselmann are Illinois State University professors of psychology and GLT’s Psych Geeks. Both chipped in with their take on AI and our potential relationship with it in “Westworld Psychology: Violent Delights” (Sterling Publishing). In their contribution to the collection of essays, the Psych Geeks examine when and why we see human in the face of AI, and anthropomorphism comes heavily into play. In “Westworld Psychology: Violent Delights” Wesselmann and Jordan address the question of why humans would enact social fantasies with machines rather than with humans. The answer isn’t pretty, as it takes us past anthropomorphism and into dehumanization. And our old friend Freud can help us understand, said Wesselmann. How we interact with AI is an extension of how we treat each other, said Jordan. Who do we keep in? Who do we keep out? Those rules that humans apply to each other could well extend to AI. Hear why we anthropomorphize AI and more in this interview with GLT's Psych Geeks. The McLean County Arts Center in Bloomington is currently showing the works of sculptor Tyler Lotz in the exhibition entitled, “Traverse.” The show is currently up through Feb. 15. A new exhibit at IWU’s Ames Library allows a comprehensive look into the lives of Native Americans, exploring the connections between wellness and cultural life. Pop culture once idolized the hero—the white knight who took the high road to the rescue. But lately our tastes have changed, taking a darker turn toward what we seem to find irresistible. When George Romero brought "Night of the Living Dead" to the screen 50 years ago, he kicked off a trend for zombie narratives that viewers can't get enough of.